You can now view three-dimensional renderings of the Trust Building. Built in 1928, the 11-story, 320,000-square-foot building is located at 433 S. Spring Street. 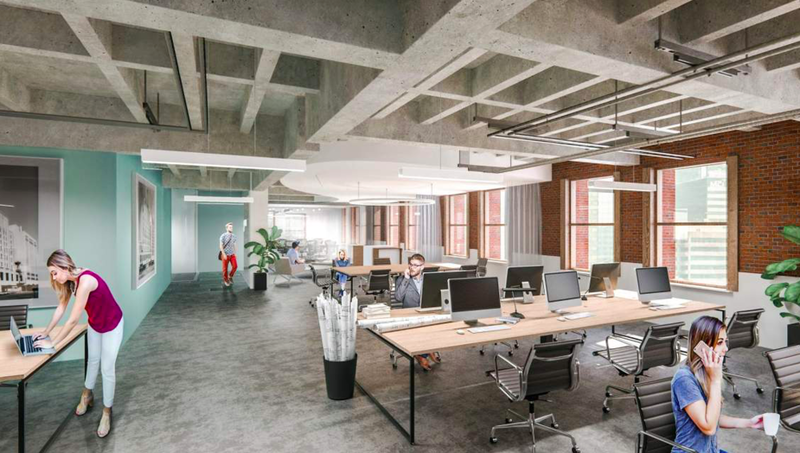 The historic structure, previously slated for adaptive reuse as condominiums, is instead being retrofitted as creative office space with ground-floor commercial space. The restoration includes the Trust Building's exterior facade, main lobby, and banking hall, which will be returned to their 1930s and 1940s appearances. Plans also call for a full seismic retrofit of the property, and upgrades to non-historic features, with a target of LEED Platinum certification.